In the early days of the Internet, storing data and accessing applications on servers located beyond the walls of our homes and offices was more science fiction than business reality. Users dug the concept, but wouldn't dream of getting real work done with a browser connected to the Internet. For many people, the browser and the computer have since merged into a single entity. These folks no longer buy and install software. Instead, they boot up their computer, launch their favorite browser and then access a number of applications, hosted on servers all over the world. Their data is stored there, too -- out in the cloud, far from the spinning platters of their hard drives. And they're getting serious work done. You can be one of those people, too. You still need a computer, but you don't need to invest in expensive software. 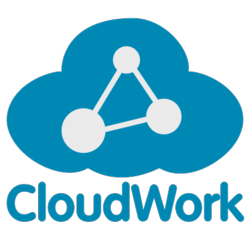 Most cloud services -- or Web apps, as they're sometimes called -- are free or cost a minimal monthly fee. After that, all you need is a little knowledge about what's available. That's where this article comes in. On the next several pages, we're going to explore how you can make the cloud work for you, whether you're a small business owner, an artist, a student or just someone looking for a cool way to connect to other like-minded individuals. Let's start with the foundation of any good cloud computing solution -- file storage and syncing. That guy needs to be freed from his desktop. The cloud can help with that. In the early days of the Internet, project collaboration looked like this: You created a file on your computer. Then you attached that file to an e-mail and sent it to a group of people for review. They each downloaded the attachment, made edits and sent it back. You were stuck with multiple versions of the file and the unenviable task of merging all the comments. Collaboration sites can eliminate these frustrations. Multiple people can share these virtual workspaces, regardless of their location. Typically, an administrator sets up the account and then invites users to join. He or she can assign people specific roles, which limits what they can do and what information they can access while they're in the space. Most good collaboration sites offer a core set of functions that enable team members to communicate, exchange ideas and share files without relying on e-mail. The best sites streamline file versioning and scheduling and allow users to initiate discussions about any aspect of a project. When used effectively, a collaboration site functions as a comprehensive archive of all related project work. Basecamp, from 37signals, is one of the best-known. It's been around for several years and offers a robust set of tools. Onehub is another interesting option, allowing companies to set up secure, cloud-hosted portals that can be used to share, preview, discuss and edit documents or other large files. Digital cameras and recorders were supposed to revolutionize how we dealt with our photos and videos. Instead, we ended up with files spread across media cards, laptops, flash drives, external drives, CDs, tablets and phones. The cloud, in the form of a photo or video management site, can rescue you from the madness. As with a file storage solution, all of your media files live on an external server. In fact, you can use most file-storage sites to back up and synchronize photos and videos, but they're not made to tag your content with useful information, or share them easily with friends and family. Purpose-built video and photo sites can do all of this and more. Most feature drag-and-drop capabilities, which make it easy to move files from a device to the cloud. Once your image or clip is online, you can add keywords, organize it into albums or galleries and then share it with a click of your mouse. Popular photo sites include Flickr, Shutterfly and Snapfish. Serious photographers will want to check out SmugMug or Zenfolio. These feature-rich sites charge membership fees, but they give far more control to users with thousands of images and hefty space requirements. On the video side, of course there's YouTube, which receives 72 hours of content a minute from filmographers all over the world [source: Larson]. If you fancy yourself the next Martin Scorsese, then consider Vimeo, which offers a solid feature set, including password-protected videos, yet tends to serve a smaller crowd of film enthusiasts. Photos and graphics can enhance just about any form of communication, right? Yet creating really good images is easier said than done. In recent years, cloud-based drawing and painting programs have made this process much less onerous. There are two basic types of services: those that allow you to create line art, such as flowcharts and wireframes, and those that allow you to edit photos from your camera or favorite stock imagery site. Getting started usually entails a quick registration and perhaps a video tutorial or two. Almost all provide a free service that buys a small amount of storage and a limited number of images and export options. Upgrade to a premium service, and you can get the whole caboodle -- unlimited storage space and images, and more flexible export options, such as the ability to save in PNG, JPEG, SVG or PDF formats. Most online drawing and painting sites provide the same basic features and tools as more powerful desktop applications. For example, Gliffy, an online diagramming service, echoes the experience of Microsoft Visio. You can draw basic shapes, order and align them, apply colors, add text and experiment with certain special effects. When you're done with a diagram, you can embed and share your work via social media or invite others to view and comment. Online photo editors like Pixlr behave a lot like Adobe Photoshop. They allow you to crop images, adjust color characteristics and mask out backgrounds or foregrounds. And then they make sharing a snap. With Pixlr, you can save edited images to your desktop, to the company's servers or to Facebook, Flickr and Picasa. As your digital universe expands, you accumulate friends, followers and fanatics who love to visit your site and comment on your blog. Cloud-based services have emerged as viable alternatives for freelancers, small businesses or anyone looking to manage their growing list of contacts, a process sometimes known asCRM, or customer relationship management. If you want to experiment with one of these services, you'll have to invest some up-front time getting your contacts loaded into the system. Where they really shine is how well they integrate with other popular Web applications. For example, they let you import and consolidate all of your contacts from the likes of Gmail, Facebook, LinkedIn, Twitter and MailChimp. Once you have the contact database populated, you can add tags and other relevant information, then sort, segment and filter to understand who you know and how they relate to each other. Even more helpful, especially if you're running a business, you can keep track of conversations, set up reminders to follow up, attach e-mails or assign task lists to yourself or to team members. If you're already using a Web-based e-mail system, such as Gmail, then you probably have access to a modest contact manager. But if you want to do some serious CRM, then you'll need to graduate to something more robust. Many people consider Salesforce to be the gold standard in CRM solutions, although it's overkill for most small business owners. Other options include Highrise, from the makers of Basecamp, and Batchbook. Both of these offer a free trial but no free service plans.